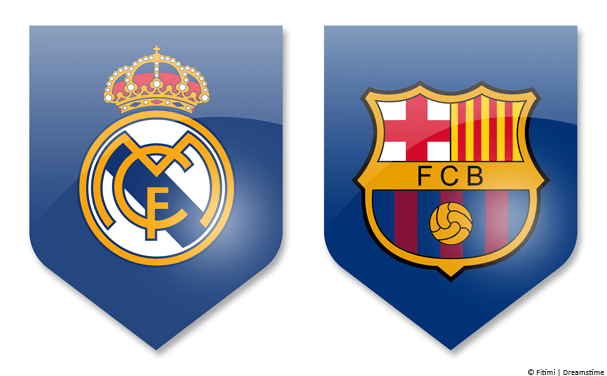 Barcelona and Real Madrid meet in the 2017 Spanish Super Cup or as it’s known in Spain the Supercopa de España. If you’re interested to watch this match live online in any country in the world you’ll probably find it’s on expensive subscription only networks. In this guide we’re going to show you the incredibly quick and easy way you can watch the Spanish Super Cup live online from any country in the world absolutely free. You may be expecting sketchy download links or websites you would rather not visit, but never fear, this is a completely official stream and we’re going to show you how to unlock it with the help of a tool called a VPN. In Russia the entire Barcelona vs Real Madrid Spanish Super Cup is being streamed live online officially by the broadcaster MatchTV!. To unlock this to watch from anywhere in the world you need to get yourself a VPN and below we show you how. Select a plan and complete the sign-up process. Download the VyprVPN app from your app store or their software from the VPN Apps section of their website. Once installed press the Location Icon (1.). You can see examples of how to connect on both mobile devices and traditional computers below. It doesn’t take more than 30 seconds for the app or software to connect. Once connected just head over to the MatchTV Live Stream page which you can do by clicking here at the time of kick-off and you’ll be able to watch the entire match. You can of course watch both legs including the first Barcelona vs Real Madrid and then the return Real Madrid vs Barcelona leg. The Spanish Super Cup takes place over two legs. The first will see Barcelona meet Real Madrid on Sunday, 13th August 2017. The return leg of Real Madrid vs Barcelona will take place on Wednesday, 16th August 2017. Live coverage will start at 8:55 BST (UK) which is 9:55 local time in Spain. You can watch both legs of the Spanish Super Cup with the VPN service from VyprVPN as explained above in this guide. The Spanish Super Cup is a relatively new cup and sees the winner of La Liga play against the winner of the Copa Del Rey. Spanish football is often a two horse affair between Barcelona and Real Madrid and it’s no surprise that both teams have won the title more than any other teams. Barcelona is the current title holder and the most successful club in the competition with 12 titles and runners-up 9 times. Real Madrid isn’t too far behind holding 9 titles with 5 runners up positions. The entire match is being streamed live on the Russian TV Network. When you visit the website the first thing it does is check something called your IP Address. An IP Address is a set of numbers that is unique to your internet connection at the time. One of the negatives of an IP Address in this case is it gives away your physical location. As soon as the MatchTV website sees that you’re outside Russia it throws up a big block message. A VPN allows you to get an IP Address from another country temporarily. When using VyprVPN you can get a Russian IP Address. When you connect to the VyprVPN app or software the MatchTV website thinks you’re in Russia even though you’re somewhere else in the world and instead of blocking you allows to you watch Barcelona vs Real Madrid Spanish Super Cup online in any country. Don’t forget, all you need is a VPN, just click the link below and follow the instructions earlier in this guide. We would love to hear who you’re supporting or who you think will win so why not leave us a comment below?